Transform your team to Agile with customized learning models. 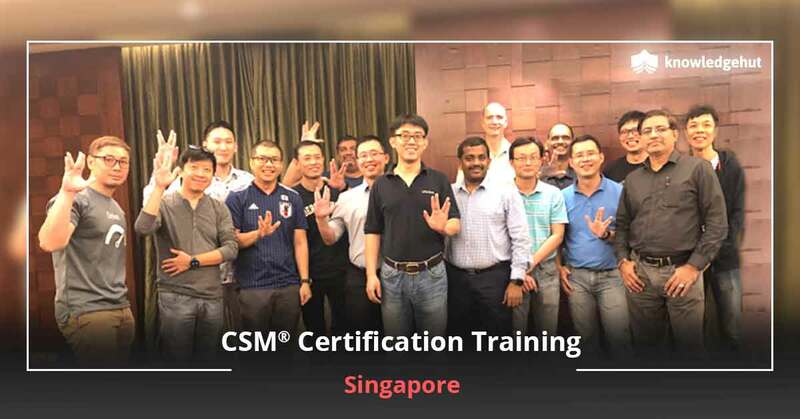 Why should you go for a CSM certification? Scrum, an Agile framework has been picking up momentum in creating innovation and improving productivity across organizations. A high-performing Scrum team always contributes to the success of an Agile project and the Scrum Master is the main person responsible for steering the project in the right direction. The Certified ScrumMaster course boosts your confidence in implementing the Scrum framework effectively in organizations. Based on the recent salary survey by Ziprecruiter, the average annual salary for the Certified ScrumMaster is $116,659 a year. Step 1: It takes only 2 min to register on KnowledgeHut, a Global REP of Scrum Alliance (SA). Step 2: Take the 2-day CSM course and get instructed by Certified Scrum Trainers® (CSTs). Step 3: SA will send you a link to create login credentials on successful completion of course. Step 4: Click on the link received from Scrum Alliance and create your own login credentials. Step 5: Take the 1hr online CSM® test which comprises of 50 MCQs by using those credentials. Step 6: Score a minimum of 74% to pass the CSM® test, after completing the course. Step 7: Once the test is cleared, you will be requested to accept a license agreement. Step 8: After accepting it, you will receive CSM designation & a 2-year membership from SA. Step 9: You have to renew the certification once every two years. Understand the foundation of Agile and Scrum concepts and help Scrum teams in using Scrum effectively. Acquire knowledge of Scrum terminologies, various concepts, and the complete Scrum process. Understand various roles involved in Scrum and the scope of the Scrum Master role in Scrum. Learn key Scrum Master core competencies and protect the team from internal and external distractions. Daily Scrum, Sprint Review, Sprint Retrospective, Product Backlog, Sprint Backlog, Definition of Done. Facilitate the Development Team, Product Owner, and the organization while responding to change. Inspect and adapt and increase transparency in each of the Scrum events and make the team’s work visible. Learn to help the team members work collaboratively and follow every Scrum process involved in it. 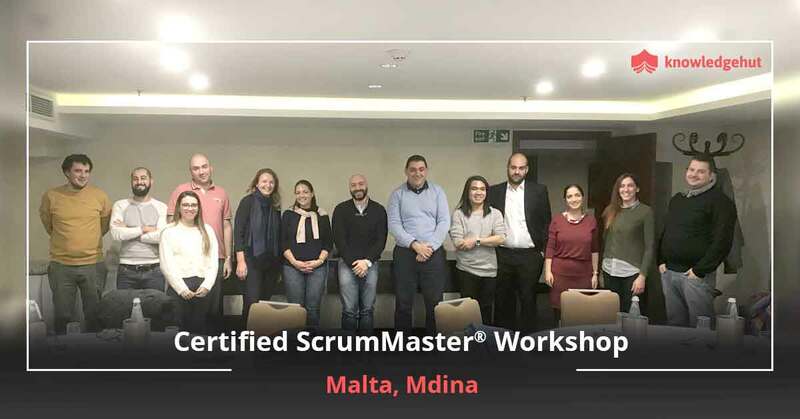 There is no set of eligibility requirements to attend this ScrumMaster Certification course and it can be taken by any professional who wants to deepen their understanding of Scrum. Learn from the real-world experience of accredited industry experts and advance your knowledge with in-class activities and simulations. Interact with accredited CSTs who also have years of experience as active Scrum practitioners. Learn directly from active practitioners engaged in implementing Scrum principles in real projects. Get access to a wider community of active Scrum professionals and enhance your practical knowledge of Scrum. Avail continuous support through monthly webinars, e-books, and conferences and keep pace with the latest industry updates. Get Access to tutorials, articles, interview Q&A and case studies prepared by the industry experts with latest updates in the Agile industry. 150,000+ professionals trained across 90+ countries globally. Our CSM training program comes with a 100% Success Rate. Training delivered in 70+ countries. Consulting and coaching to transform organizations. Trainers with experience in Retail, E-commerce, Energy & Utilities, etc. By registering in groups, you can save up to 20% on the course fees. The discount you can avail will depend on your group size. Ethan has led the Agile transformation in large fortune 500 global enterprises like State Street, Electronic Arts, Cisco Systems, State Street etc, with a focus on coaching the software engineering team in adopting Agile/Scrum methods and changing the way they think and work. He has over 16 years of working experience in IT project management, solid project management background in different industries like consulting, outsourcing, telecommunication, gaming, finance, healthcare, banking etc. He is focused on organizational transition from traditional waterfall to Agile/Scrum, re-align IT Project Portfolio Management under the Agile/Scrum context, developing organisational technical Center of Expertise in Continuous Delivery; and forming Agile/Scrum teams. Ethan is knowledgeable in both traditional project management methodology (PMBOK) and Agile (Scrum); His qualifications include CST, CSP, CSD, CSM, CSPO and PMP credentials. He has rich experience in adopting various software process management technologies, e.g., Scrum, RUP, and MSF, including 8+ years hands-on experience in managing IT project full lifecycle from pre-sales/product visioning to project closure. He is an Agile and Scrum enthusiast. Iain McKenna is an experienced trainer, coach and practitioner who has successfully used Scrum together with other agile and lean frameworks over a number of years both in project recovery and greenfield projects. Iain has also been extremely successful in helping many organisations adopt or improve their use of Scrum through training, coaching and mentoring, including United Health, BBC, Cisco and BSkyB. Having worked with IT for over 30 years, Iain has a wealth of experience ranging from operations, analysis, testing, software engineering, project and programme management through to IT Leadership. Jens Ostergaard is a founder of House of Scrum. He consults and helps organizations understand the fundamentals of Scrum, and mentors them on why they should keep Scrum as pure as possible, until they fully understand the mechanisms that drive product development forward. Being the first Certified Scrum Practioner (CSP) and one of the first Certified Scrum Trainers (2004), worldwide, Jens has successfully trained thousands and thousands of professionals all over the world. (see previous classes on website). Having more than 25 years of experience as developer, dba, team manager, project manager and ScrumMaster, primarily in financial organizations, he has worked with all aspects of software development. Jens has managed several Scrum projects, and became a fully qualified CSM Trainer, in Copenhagen, 2004. Apart from consulting, training and mentoring, Jens gives popular presentations about Scrum, at conferences and for organizations. Jens base is in Europe, where he is self-employed. He holds a Bachelor of Science in Systems Analysis at Linköping University, Sweden, and one year at graduate school, business department, in Madison, Wisconsin. Alexandre helps creative workers, teams and organisations to learn better by facilitating unique learning and training experiences on agile, self-organising teams and learning 3.0. He really believes that emergent learning and learning facilitation are the keys to creative workers' success and expertise in this complex and fast-paced new world of work. Alexandre is the author of 'How Creative Workers Learn', the first book in the Learning 3.0 series, and founder of the Learning 3.0 brand at Happy Melly. Throughout his career, he has moved from programming computers to software development; then moving back into to database development; product, project and team leadership; agile coaching...and finally: business management. In all those fields Alexandre was in someway involved with learning initiatives and mentoring, realising that was where he is able to make a huge social impact, and so identifying this as his calling in life. Aakash Srinivasan is an Agile trainer, coach, TBR-certified trainer and speaker who travels to consult Fortune 100 companies on business efficiency, process improvements, organizational change and large-scale Agile transformations. He holds several qualifications including Agile Certified Practitioner, Certified Scrum Developer, Certified Scrum Trainer and other certifications. He is a mentor and trainer par excellence and his training workshops are very popular. Very well organized. Thanks, KH! Good planning and execution. The trainer had excellent experience and teaching skills. A very good training session thanks to an excellent trainer like Shekhar! The training was pretty interactive and the content was good too. It was nicely planned and executed. Why choose KnowledgeHut in your journey to becoming a CSM certified professional? Looking to know everything about CSM certification training with KnowledgeHut? Check out this blog! Where will the Certified ScrumMaster workshop be held? Do you provide any training material for CSM certification? 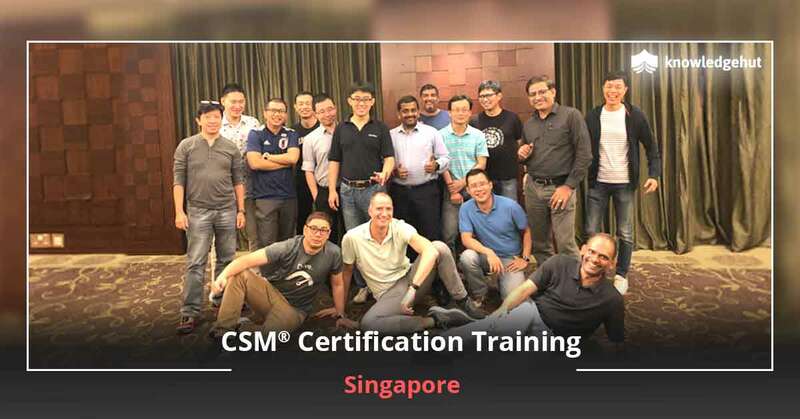 In which all the cities does KnowledgeHut conduct CSM® certification training? Can I change the city, place, and date after enrolling for the CSM classroom training? Do you provide transportation and refreshments with the Agile Scrum Master training? Do you provide any discount for CSM certification training programs? The process of enrolling for CSM classroom training is simple. The payment can be made through different options by using a debit/credit card which includes MasterCard, Visa Card, American Express or through PayPal. Acknowledgment will be issued automatically via email to the candidates once payment is done. Any registration cancelled within 48 hours of the initial registration will be refunded in FULL (please note that all cancellations will incur a 5% deduction in the refunded amount due to transactional costs applicable while refunding). Refunds will be processed within 30 days of receipt of written request for refund. Kindly go through our Refund Policy for more details: https://www.knowledgehut.com/refund-policy. I’d like to learn more about this CSM certification training program. Whom should I contact? To ask further questions, please send in an email to support@knowledgehut.com, and we will answer any queries you may have! Taipei being the capital of one of the most progressive nations, houses a large number of corporations. It is at the forefront of technology producing high electronics and associated components. Taiwan holds one of the world's largest foreign exchange reserves and at the center of it is Taipei. This is a great place to start of an IT career and our Certified Scrum Master training in Taipei will help you gain the CSM certification in Taipei and make your resume instantly marketable. The CSM course in Taipei will help you earn 23% higher and also give you a 2-year membership with Scrum Alliance. There are plenty of other benefits to be had from this CSM certification training in Taipei such as training by Scrum certified coaches, downloadable, Scrum approved courseware, and PDUs and SEUs. 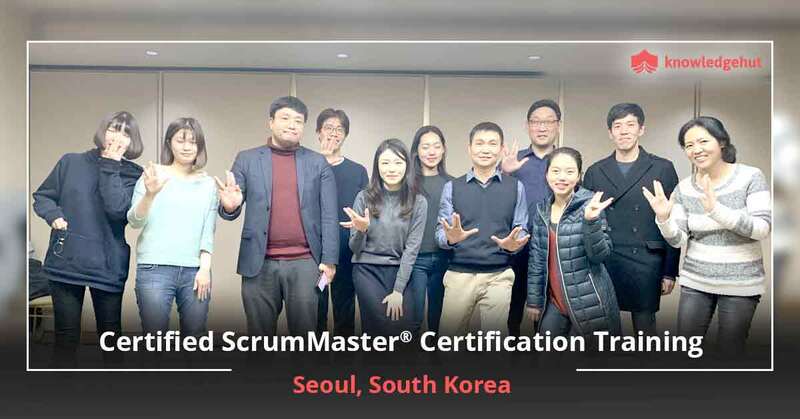 The CSM training in Taipei follows a hands on approach and gives you the best in terms of theory and practicals so that not only are you ready for the examination but also to face Scrum related job challenges. 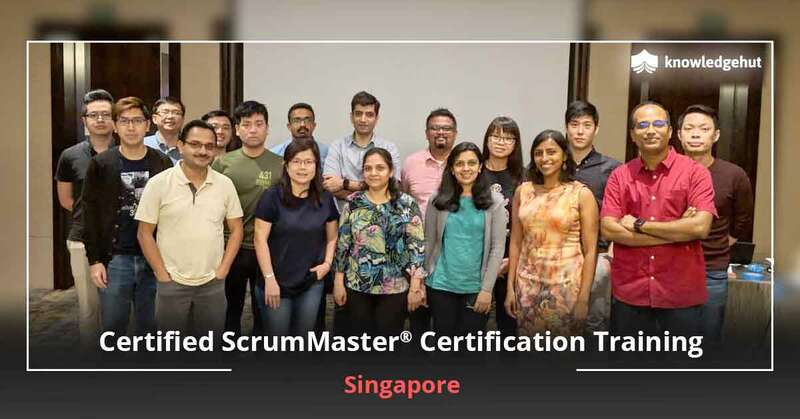 Our Certified Scrum Master course in Taipei has been extremely popular because of the reasonable Certified Scrum Master certification cost in Taipei that we bring in along with our experiential teaching model that makes you fit for the industry. 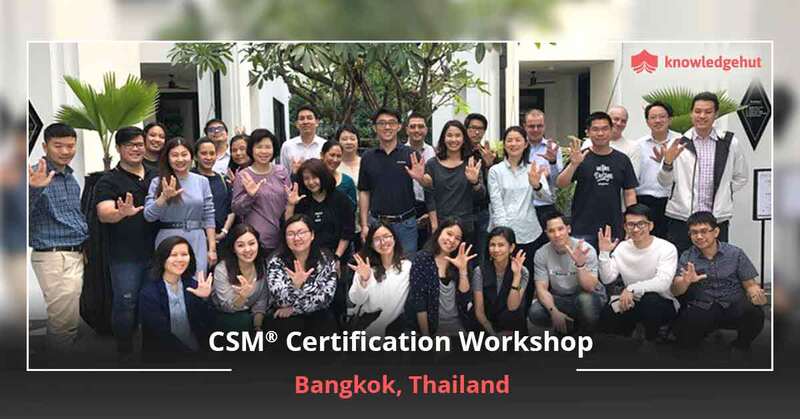 Our workshop CSM certification cost in Taipei also includes your examination fee and Scrum approved course material that is very detail oriented and crisp while avoiding unnecessary jargon.